Give her an engagement ring with real meaning with one of Michael Hill's three stone diamond engagement rings. 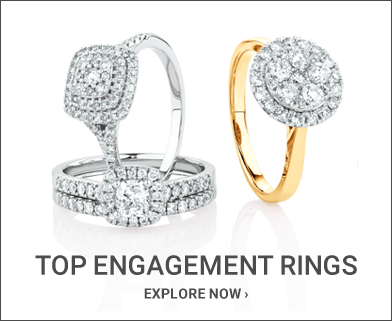 These gorgeous rings celebrate how you met, when you fell in love, and the promise of a long life together. Our craftsmen take particular care to ensure that the side stones are perfectly matched to the centre stone for cut, clarity and colour so you will have a sparkling token of your love for a lifetime, and beyond.